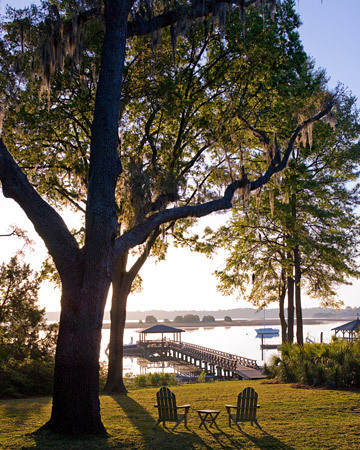 A little cottage on the water has always been a dream of mine, so you can imagine how smitten I was when I came across this gorgeous home built in the 1820's that was featured on Martha Stewart's Home Tours awhile back. 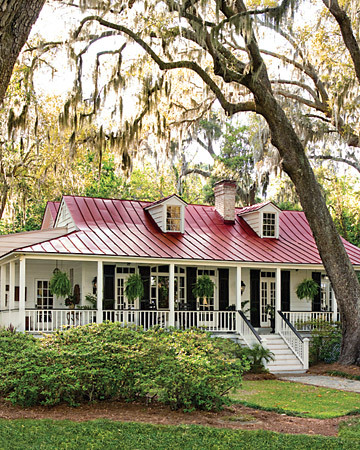 This enchanting abode, which once served as a caretaker's cottage on the edge of a plantation, nestles along the shores of the Skidaway River, just southeast of Savannah, Georgia. 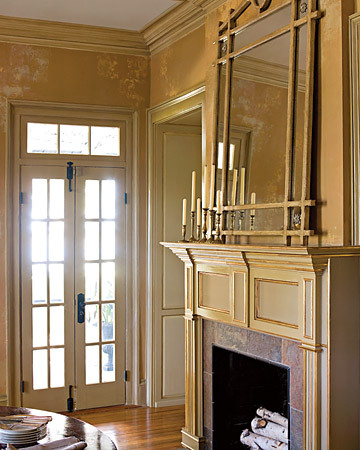 I love the contrasts in the dining room! Quite a grand chandelier set against the simplicity of the round table and covered chairs, almost opposites one might think. Although it isn't something that I would have every initially chosen as a fixture, seeing the pieces together makes me think they were made for each other. Could there be a mint julep cup or two mixed into the silver service I see in the background?! The touches of ice blue in the living room add a little edge to all the neutral shades that flow throughout the entire house. Take a closer look at the fab coffee table ~ it only has three legs! Even the dog looks like it was born and bred to live in this home, basking in the sun beside one of the floor to ceiling windows which grace almost every room in the house. 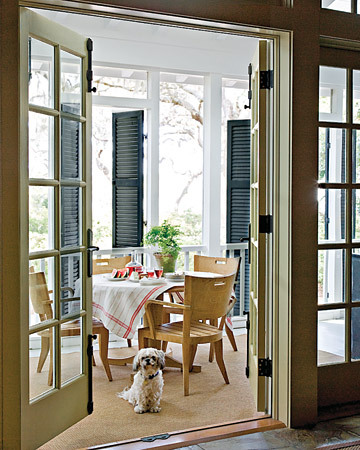 It isn't a proper Southern home without a screened-in porch and this one gets a lot of family traffic being one of the most oft used spaces in the house. The porch swing!! Be still my beating heart!! Can you think of any better place to while away a Saturday afternoon?! Now this is my kind of home on the water. 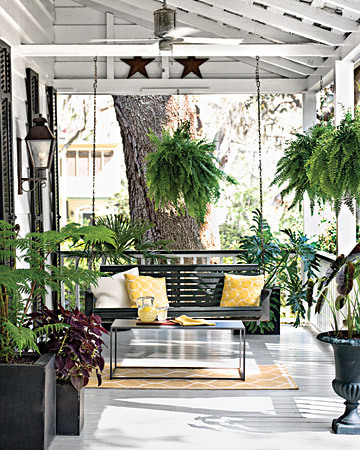 Adore the porch/ porch swing swing and bedroom. 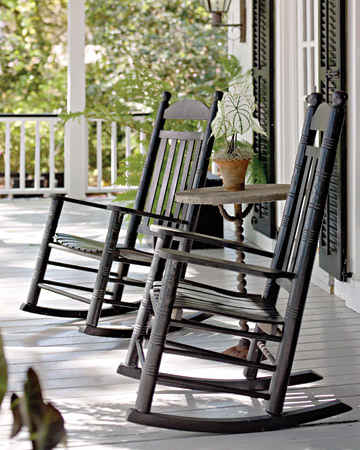 Absolutely enchanting...I could sit on the porch very contentedly...bliss.